This section present a set of bricks facilitating the use of an ALE formulation for rotating bodies having a rotational symmetry (typically a train wheel). This strategy consists in adopting an intermediary description between an Eulerian and a Lagrangian ones for a rotating body having a rotational symmetry. This intermediary description consist in a rotating axes with respect to the reference configuration. See for instance [Dr-La-Ek2014] and [Nackenhorst2004]. 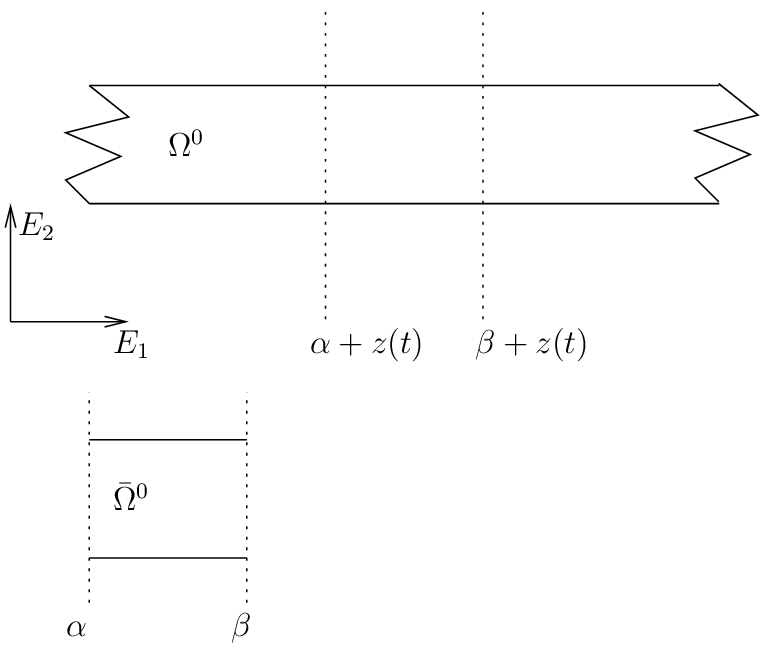 the displacement with respect to this intermediate configuration, the advantage is that if this additional displacement with respect to the rigid body motion is small, it is possible to use a small deformation model (for instance linearized elasticity). This should not be forgotten that a correction has to be provided for each evolving variable for which the time derivative intervene in the considered model (think for instance to platic flow for plasticity). So that certain model bricks canot be used directly (plastic bricks for instance). 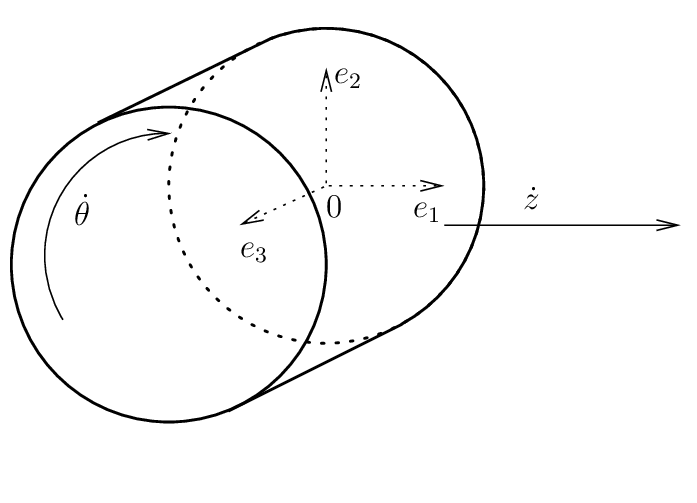 Note that two terms can deteriorate the coercivity of the problem and thus its well posedness and the stability of time integration schemes: the second one (convection term) and the fifth one. This may oblige to use additional stabilization techniques for large values of the angular velocity . This section present a set of bricks facilitating the use of an ALE formulation for an object being potentially infinite in one direction and which whose part of interests (on which the computation is considered) is translated uniformly in that direction (typically a bar). where . The interest of is of course to be time independant. Of course, some special boundary conditions have to be defined on and (absorbing or periodic boundary conditions) in order to approximate the fact that the body is infinite. where is the outward unit normal vector on . Note that the last term vanishes on but not necessarily on and .